For its 100th anniversary, Nikon has announced the release of the Nikon D850. This pixel rich reflex camera will replace the Nikon D810 to satisfy the needs of photographers who are looking for a camera with the best possible performance characteristics which is also capable of producing very high definition photos and videos. 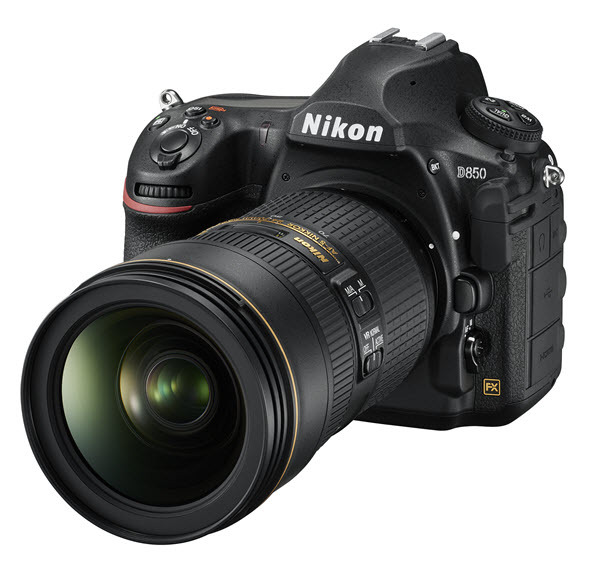 Just as for the Nikon D5, the announcement of the D850’s release was done in two stages: a pre-announcement in July during which time no technical specifications were given, and an announcement in August accompanied by the details of the camera’s technical data sheet. And what a data sheet it is! It seems as though Nikon’s engineers have – finally – put everything into the Nikon D850 that they were able to, including many innovations. Adepts of moving images will also be fully satisfied by the D850’s full format 4K definition video recording capability (a first for Nikon) as well as by its 8K definition time-lapse feature (another first, see below). Nikon has also incorporated some other innovative features such as a film scanner and Focus Stacking. 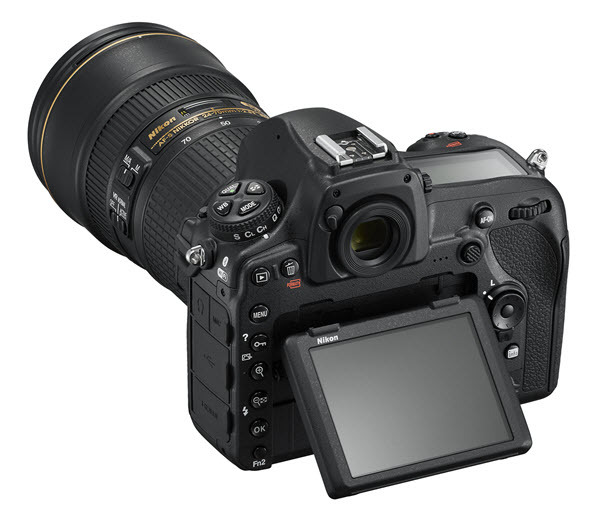 Here are the D850’s detailed technical characteristics as well as some additional information that does not appear in the technical data sheet, but which will help you to understand the utility of certain features. 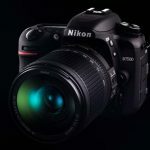 Nikon has unveiled a new 45.7 megapixel sensor which makes the D850 Nikon´s highest definition reflex camera of all time. This ultra-high definition allows the camera to capture exceptional detail, as demonstrated in the first official photos released by Nikon. While 45.7 may sound intimidating (file size, motion blur), you should know that Nikon has thought of everything. These formats are available for both RAW and JPG file types (3 different sizes: Large, Medium and Small). 3 and 22 MB in JPG format. In DX crop mode, you will obtain 19.5 megapixel images which corresponds to the Nikon D500‘s full definition. Also, when performing vertical – horizontal reframing, you will obtain 20 megapixel images, once again equaling the maximum performance of the D500 – this definition is sufficient to make A1 size prints (60×85 cm) at 250 dpi resolution. The sensor has a native sensitivity ranging from 64 to 25 600 ISO (12 800 for the D810). In extended mode, the minimum sensitivity drops down to 32 ISO (facilitating the use of filters for long exposures for example). In Hi2 mode, the sensitivity is able to climb to 102 400 ISO. In order to ensure the performance of its 45.7 megapixel sensor, Nikon has rendered the D850 capable of managing a data flow of 400 megapixels/second and its buffer is capable of holding 51 full definition RAW shots (28 in the case of the D810). Images are stored via the two memory card slots – one of which is reserved for XQD cards (for increased performance) and the other for SD memory cards, with UHS2 support. The D850 uses the same 153 collimator AF module as the Nikon D5 and D500. Just as the D5 does, it relies on a dedicated processor to manage focusing and is able to operate up to -4IL at the center of the image. In conjunction with its Expeed 5 image processor, this AF module allows the D850 to focus at a rate of 9 images/second in full definition when using the grip and the EN-EL18 battery (7 images/second without). A joystick – which allows for the adjustment of the AF collimators – can be found on the camera’s rear side which contributes to the overall ergonomics. The user no longer needs to move one finger down towards the lower keypad. The D850 has and automatic AF calibration feature (as do the D7500 and the D5) to compensate for the back and front focusing problems inherent to very high definition cameras. This calibration proves to be more reliable than a calibration performed on a dock since it takes into account the camera-lens pair and not just the lens. The Nikon D850 uses the same 180 000 pixel light meter cell used on the Nikon D5. This cell is sensitive up to -3IL (0IL in the case of the D810). This high performance facilitates low-light photography as well as time-lapse photography and video capture. The D850 employs a new type of white balance setting – Auto WB for natural light – which is supposed to better take into account changes in shadows / direct sunlight / clouds or to avoid washed out images in the summer for example. This third additional white balance setting (2 available on the D5) still needs to be tested before any conclusions can be drawn as to its usefulness. The Nikon’s shutter was designed to limit vibrations. Tested for 200 000 cycles it should be able to satisfy the demanding needs of professional photographers. The D850 allows for silent shutter release in Live View mode by means of its electronic shutter. While the D5 is limited to 8 megapixels in this regard, the D850 is able to capture full definition (45.7 megapixels) at 6 fps (fixed AE and AF). The definition drops down to 8.6 megapixels at 30 fps (fixed AF and AE). The latter of these two modes may be of interest to astronomical or time-lapse photographers, etc. This is THE feature that video aficionados we waiting for, and Nikon has finally made it available on the D850: full definition 4K video, without cropping, in FX and DX modes alike. But, not all displays are capable of showing 4K definition video, right? The advantage of being able to film at this definition is not simply to obtain a higher definition video source, but also – and especially – to be able to reframe the video without loosing any definition, in order to obtain a final video definition of 1080p. Nikon has place the bar very high with its 144 Mbps data flow, 4/5x Full HD Slow Motion mode, MOV and MP4 format support, 10 bit HDMI 4.2.2 connectivity, high ISO sensitivity, and Flat Picture Control to facilitate post-processing. The D850 is equipped with an audio attenuator which limits undesirable noises as well as a Focus Peaking mode in Full HD definition and an electronic stabilizer. 8K Time-Lapse recording is also among the D850’s capabilities. While 8K definition video is incapable of being shown on current displays, this mode makes it possible to record a time-lapse sequence in 8K definition and to subsequently reframe it in 4K UHD definition in order to simulate different vantage points or a traveling effect based on a single shot. The Nikon D850 is able to perform batch processing of RAW files within the camera itself. Imagine a series of photos taken for a time-lapse sequence that you would like to process in the same way, using the same Picture Control. It is possible to generate the JPG files directly from the camera instead of going through a computer’s image processing software. It will take 25 minutes to process 1000 RAW files according to Nikon, whereas this might take several hours for image processing software depending on the type of computer being used. This has now become a standard feature, one which has also been incorporated into the D850: a rear-facing pivoting touchscreen. This 3.2 inch, 4.2 megapixel definition touchscreen makes it possible for a user to navigate through the menus by means of his/her finger – just like on the D7500. However, only the D5 enables its users to manipulate its touchscreen while wearing gloves, something the display technology used on the D850 is incapable of (shame…). An ISO selector button can be found in proximity to the shutter release button, making it easier to change exposure settings – which are no longer only limited to aperture opening and shutter speed these days. An Fn2 button is located at the bottom-left of the camera’s rear face. This button represents an additional possibility to customize the camera – a very welcome addition. The camera’s buttons are also backlit. The magnesium case has become a standard feature of this brand’s professional cameras. The robustness of this type of construction has proved itself many times over and makes photography possible under any type of weather conditions. 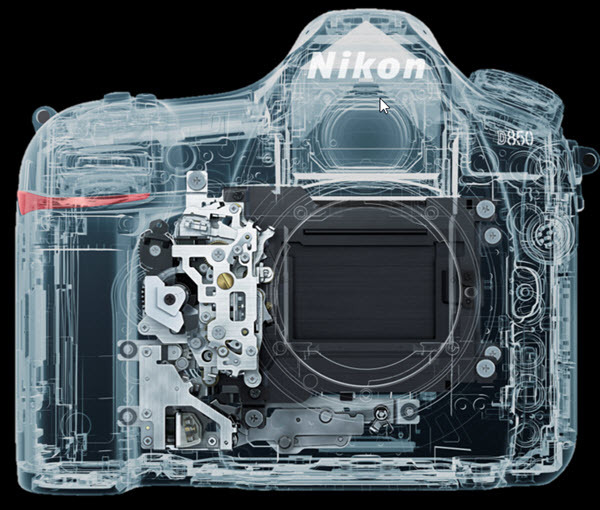 The Nikon D850 does not have a built-in flash which reduces the mechanical constraints imposed on the case, rendering it even more robust and water-tight. This absence should no longer be shocking to anyone since hardly any professional photographers ever use their camera’s built-in flash and videographers consider this type of flash to be rather useless. The D850 is of course compatible with the Nikon CLS system and with external wireless – radio or infrared controlled – flashes. The Nikon D850 makes use of a new 100% optical viewfinder, the magnification factor of which (0.75x) is the highest that Nikon has ever produced (0.70x for the D810, 0.72x for the D5). The D850 is able to be used with the optional MB-D18 grip which has better ergonomics and is more comfortable than the grips available for previous models. (1200 shots without the grip and 3270 shots with the grip for the D810). In order to increase the depth of field, it is necessary to close the diaphragm or to use Focus Stacking. This technology takes several images of the same subject which are slightly offset from each other in terms of focal plane. A dedicated software program then reconstructs a final image based on these intermediate shots. The Nikon D850 is able to automate the shooting process by automatically managing the focal plane offset. The camera is able to record up to 300 photos with 300 different focuses. 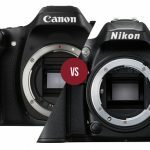 Nikon film scanners are dead, long live the Nikon D850 + ES-2! Since it has such high definition, the Nikon D850’s sensor is able to reproduce even the finest details of its subject, even if its subject is a silver film negative. Nikon has incorporated a film scanner function into the D850: with the help of a macro lens and the Nikon ES-2 adapter, you will be able to scan your color or BW film negatives at 5800 DPI, ending up with directly usable images on your memory card. The scanning process is ultra-fast since it simply consists of taking photos and the adapter makes it possible to easily switch between the different frames of the negative film strip. The output format is a “developed” JPG (the color negative is converted into a positive), Nikon has not specified whether a RAW format will be available via a firmware upgrade. 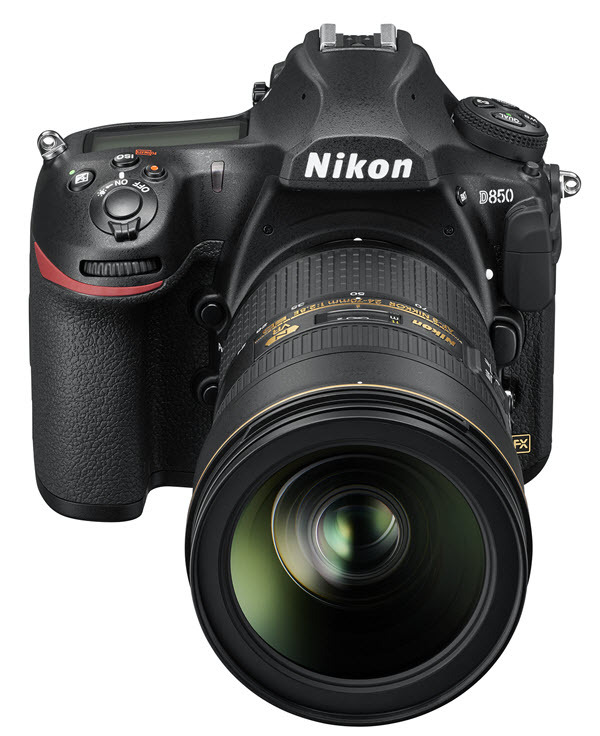 The Nikon D850 uses SnapBridge technology which allows for the wireless transfer of images to a smartphone or tablet via either WiFi or Bluetooth. For the transfer of images to a computer, FTP server or ethernet network, the D850 makes use of a WT-7 module with a bandwidth in excess of 866 Mbps. The Nikon D850 is sold – without a lens – for 3799 euros (all taxes included). The MB-D18 grip sells for 429 euros without a battery (it can accommodate an EN-EL15 battery, an EN-EL18 battery or 6 LR6 batteries). The ES-2 film scanner adapter is sold for 149 euros. The Nikon D850 will be available from retailers beginning on the 7th of September 2017 – a very fast product launch explained by the withdrawal from the market of the Nikon D810 and the currently high market demand. There is a reason why the Nikon D850 wasn’t simply called the D820. This reflex camera is more than just a simple evolution of the previous model, it represents an entirely new paradigm for Nikon, one which it hopes will satisfy the needs of the most demanding photographers and videographers. 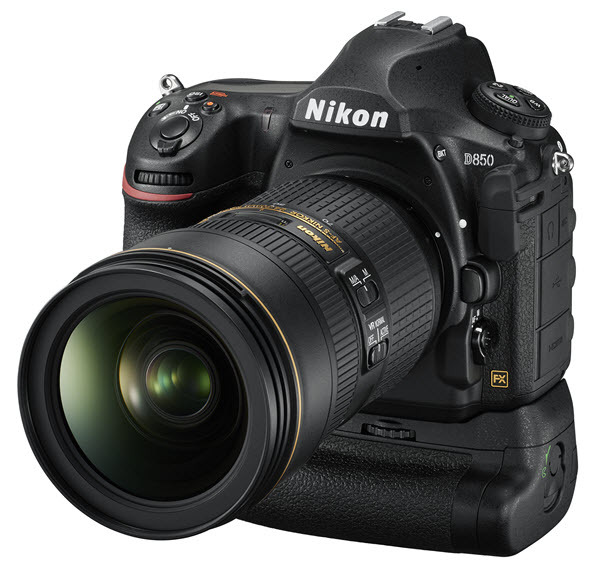 Faced with an ever increasing hybrid camera product offering, Nikon has billed its D850 as being the ultimate reflex camera at the moment, one which is capable of doing anything – or almost anything. More powerful than the D810, more affordable than the D5, more professional than the D750, the D850 greatly strengthens Nikon’s product offering and does so at a very competitive price compared to its competition (Canon 5D Mark IV and Sony A9 for example). in terms of its users (who will need to learn how to manage its many functions as well as the potential problem of motion blur). But, if you are able to manage these parameters, this camera is definitely the best available in its category. The first tests will tell us more about its real performance as well as the constraints imposed by its very high definition. The results we obtained with the recent D500 and D7500 models in DX mode and the D5 in FX mode, make us optimistic about the D850’s performance. 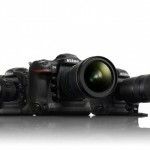 Apparently Nikon has rediscovered its capacity to innovate, and we are very happy to see that it has! Next Canon M100: the mini EOS M Mirrorless is coming!